Bamboo is a grass that is found all over the world, except in the North and South Poles. Bamboo has over 1200 species and there are many uses for bamboo. Bamboo is one of the most efficient plants at removing carbon from the atmosphere. It can be harvested and replenished with barely any impact to the environment. 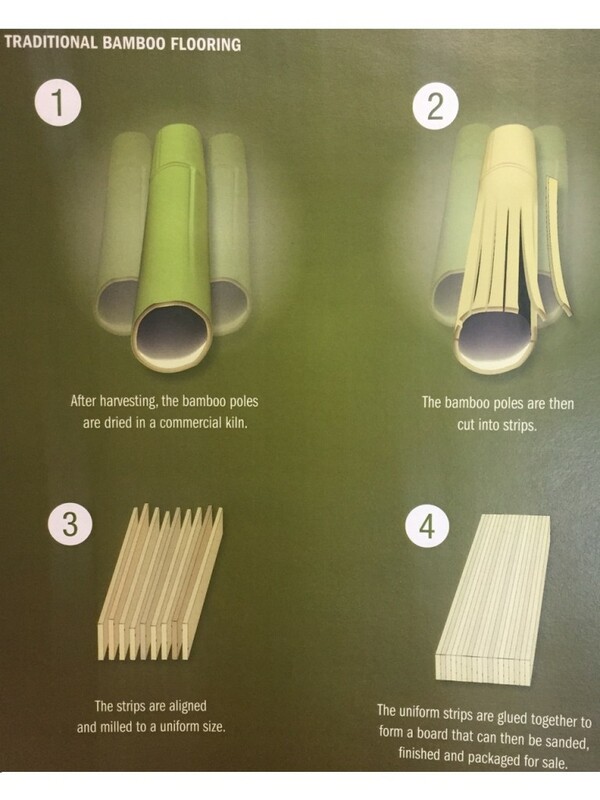 Bamboo can regenerate without having to be replanted, and it has a rapid growth cycle so it can be harvested in 5 to 6 years. Other trees take ten to a hundred years to develop so they can be harvested. In addition bamboo grown in temperate regions is better for flooring than bamboo grown in tropical regions. Bamboo from tropical regions is softer and less stable than bamboo grown in temperate regions. After the bamboo is harvested, the poles are dried in a commercial kiln. After the poles are dried, they are cut into strips. The strips are aligned and milled to a uniform size. The strips are then glued together to form a board that can be sanded and finished. Resin-dipped bamboo splits are loaded into an industrial press. 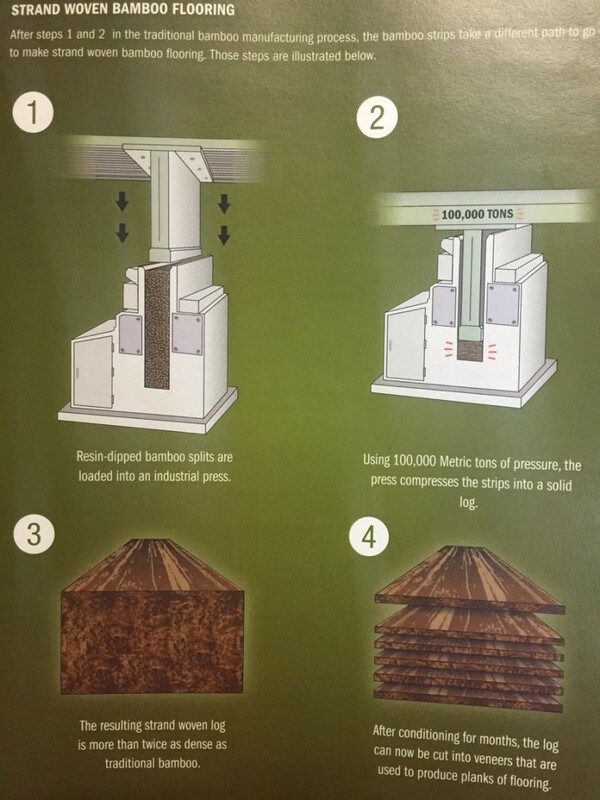 The press uses 100,000 Metric tons of pressure to compress the strips into a solid log. The log is strand woven and it is more than twice as dense as traditional bamboo. After the log is conditioned for months, the log can now be cut into veneers. The veneers are then used to produce planks of flooring. 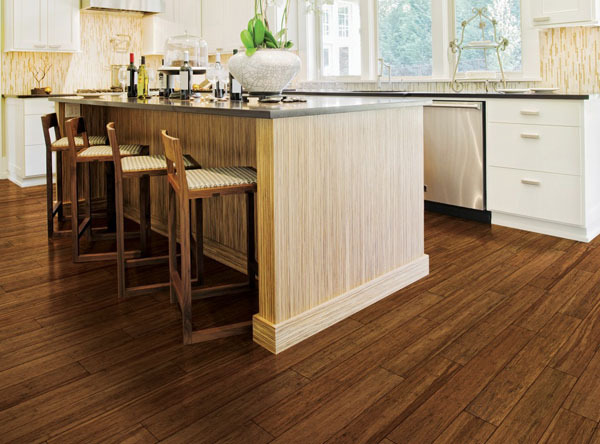 Bamboo floors that have a horizontal grain are known for having the classic bamboo look, and it features large darkened nodes throughout the floor’s surface. 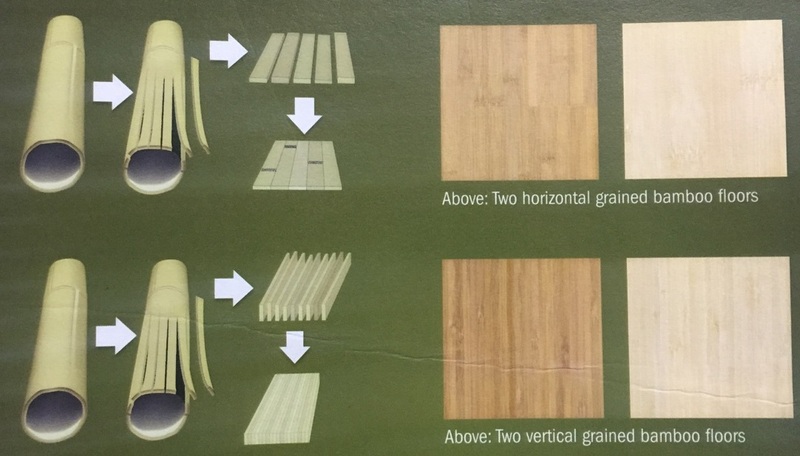 The individual slats of bamboo are put down horizontally and glued together,which is where the horizontal grain gets its name. The name does not refer to the direction the grain runs. Bamboo floors that have a vertical grain do not have the classic, dark nodes that many people associate with bamboo. The individual slats of bamboo are put down vertically and glued together. Once again the name does not refer to the direction the grain runs. In Strand Woven bamboo there is no horizontal or vertical grain distinction. Strand woven bamboo has an organic grain look because strands of bamboo poles are compressed together under hundreds of tons of pressure. 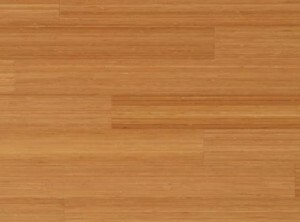 Strand woven bamboo is rated over 3,000 on the Janka Hardness Scale. 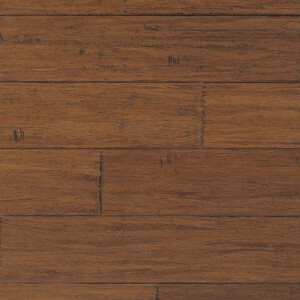 This bamboo flooring is ideal for high traffic residential and light commercial settings. For regular maintenance, use a soft bristle broom to sweep the floors and a vacuum with a soft floor attachment if your bamboo floor has beveled edges. Clean your floors periodically with a professional wood floor cleaner. Use throw rugs inside and outside doorways. Use a humidifier during the winter months to keep bamboo movement and shrinkage to a minimum. Do not wet-mop a bamboo floor. 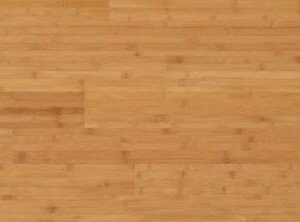 Click here to see our collection of Bamboo flooring.